February&apos;s fashion features are all about things I love. I&apos;m combining fashion and food and my city. 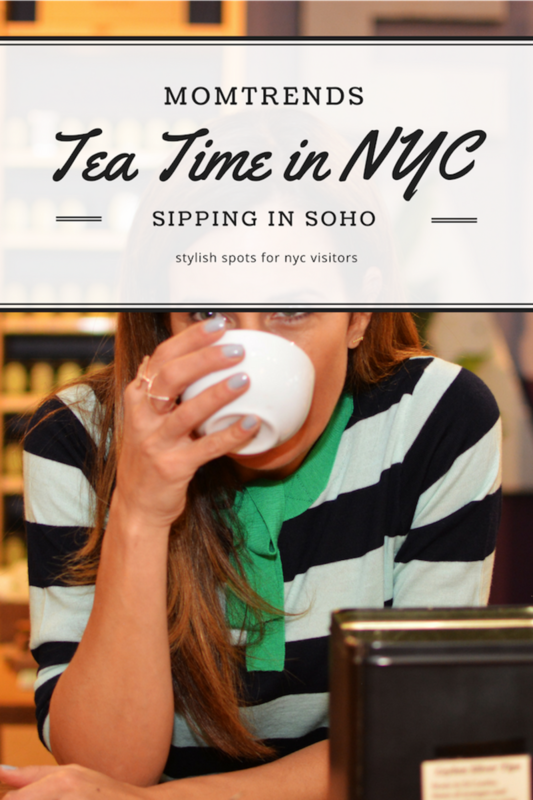 Today I&apos;m talking about having a stylish tea time in New York. If you didn&apos;t know it already, I am a huge tea lover. I sip tea all day long. I have a few favorite brands, but I&apos;m always on the hunt for new flavors and new spots to discover. This month I&apos;m inviting you along to the Harney Tea Salon in Soho. For the outing, I&apos;m wearing a few things I love. Remember the theme of the year is wearing what you love? I shopped my closet for most of this outfit and am sharing one new top from J.Crew. I tossed on my favorite frayed jeans, my gold loafers and this new striped Merino wool Tippi Sweater from J.Crew. Here&apos;s a closer shot of the sweater. It&apos;s got bold stripes and a Kelly green tie at the neck. It&apos;s a nice mix of girly and sporty and can be paired with a pencil skirt or a pair of jeans. The bag is from Longchamp called the &apos;Le Pliage&apos; tote—I have had it for years and it&apos;s the perfect weight and size for walking around NYC and doing a bit of shopping. It&apos;s light and so very packable. When I travel, I love popping into food shops. I find eating and drinking my way through cities like Paris and London help me get connected to the culture. In London, you simply can&apos;t miss tea time. NYC certainly has a few spots for fancy tea times. this is a bit more relaxed. It&apos;s not about loading up on sweets and treats, it&apos;s about sipping something marvelous. 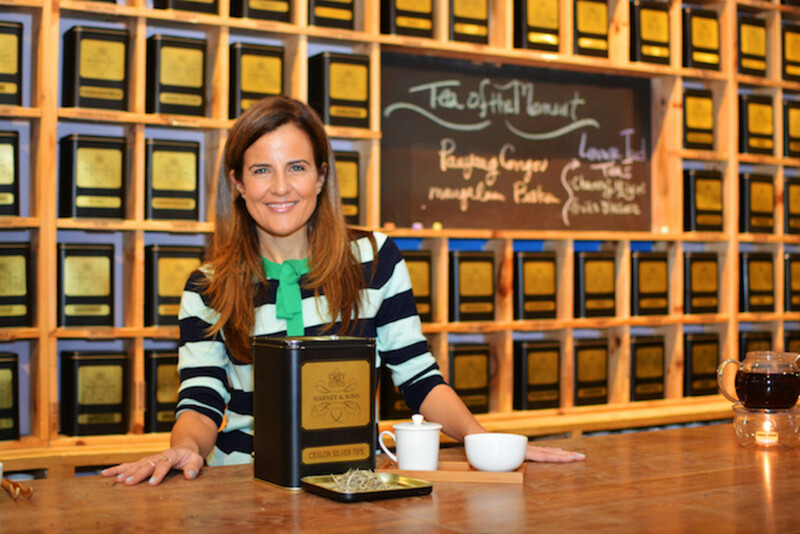 Harney & Sons Tea has been around for more than 30 years. The brand started in Salisbury, Connecticut, and that&apos;s where I discovered it the first time. The company remains family owned and operated, but the reach of the tea has really grown in the 10 years I&apos;ve know them. 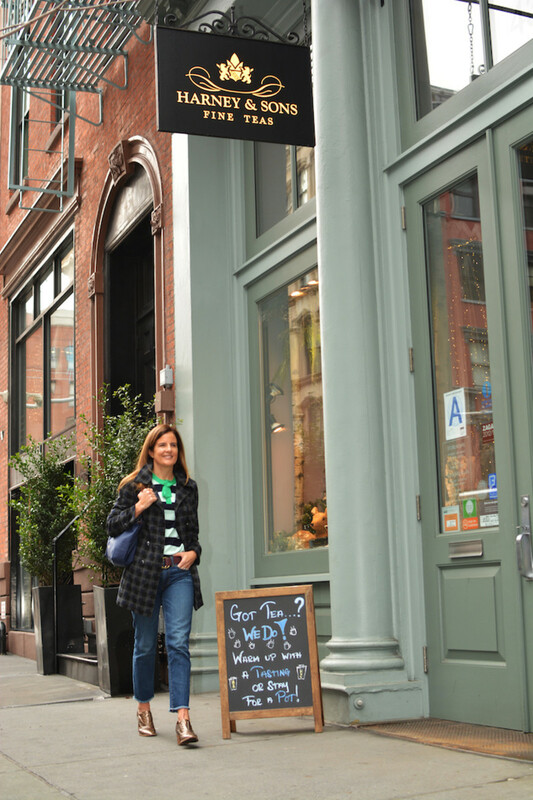 You&apos;ll get a good sense of what the brand is all about when you visit the Harney & Sons spot in Soho. 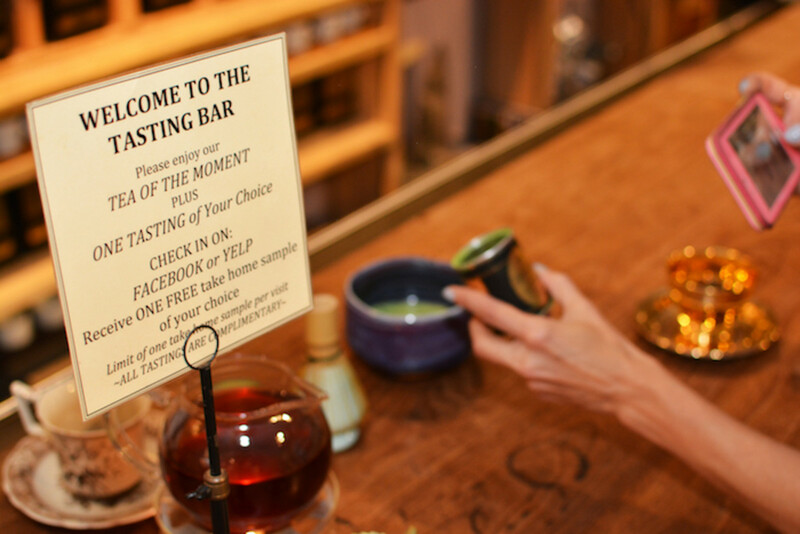 When you pop into the tasting bar and lounge be sure to talk to the knowledgeable staff. They will set you up with a sample or two or three. With 250 varieties of tea to pick from, be sure you give yourself enough time to enjoy the process. I tried some delicious Ceylon tea and learned that I have been using too-hot water to steep my white teas. I am sure you will pick up some insider knowledge too. This place is a treasure trove of teas and also a great spot to pick up gifts for your tea-loving friends.